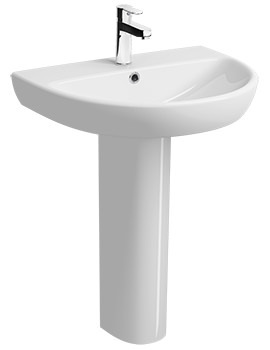 The Twyford E100 Corner Handrinse Basin is a fully functional piece that will perfectly fit into any standard corner. 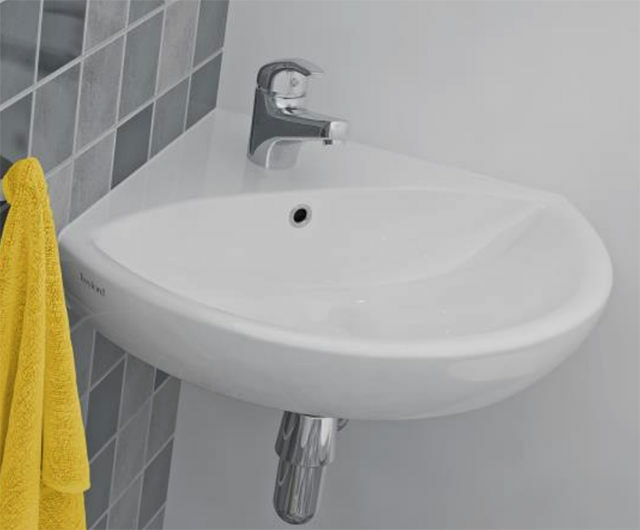 This compact, space-saving sink with a wall mounting design makes for a stylish and modern inclusion in the bathroom. 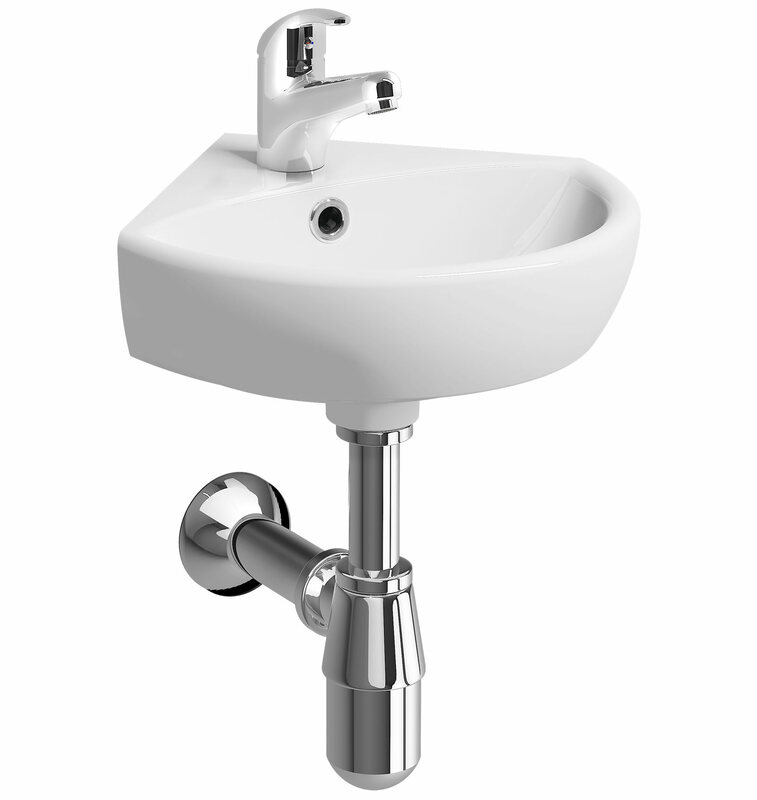 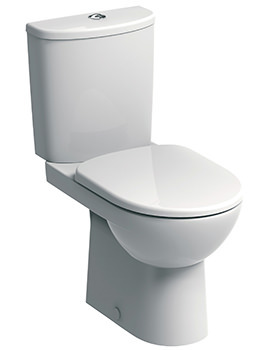 Featuring a flat, clean surface and a smooth curved front, this piece of sanitary ware is an elegantly simple piece. 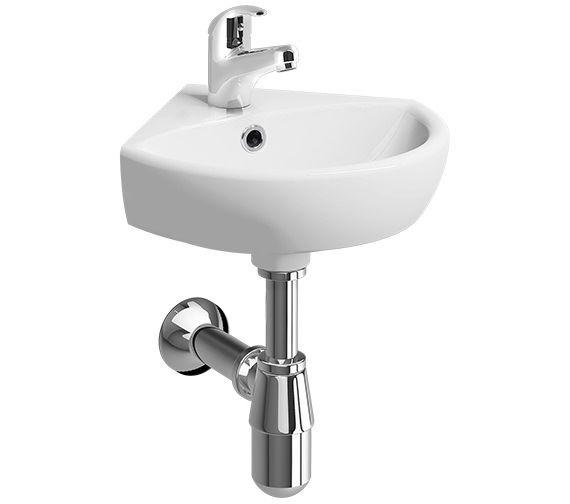 It is supplied with a centrally placed tap hole and chrome plate overflow trim as standard. 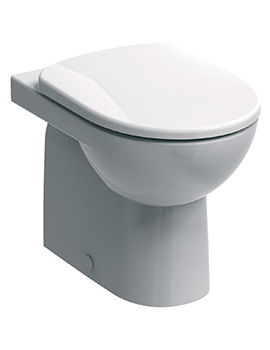 It is fabulously crafted from high-grade vitreous china which makes it durable while the crisp, white finish gives it a wipe-clean surface. 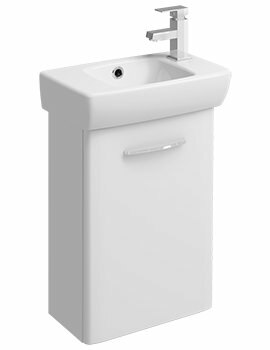 Its smaller dimensions make it suitable for hotels and leisure applications and residential bathrooms where space is a constraint. 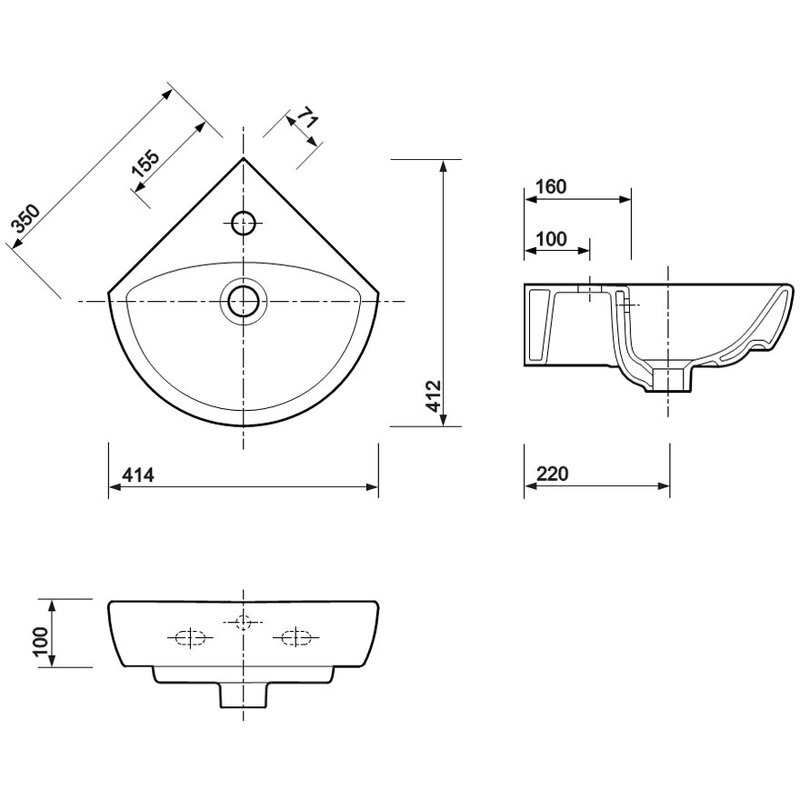 Optional Products: Waste and Bottle Trap.